Chartering a yacht is the perfect way to relax, unwind, and spend time with friends and family. The Nephenta is the ultimate choice for a sea excursion. 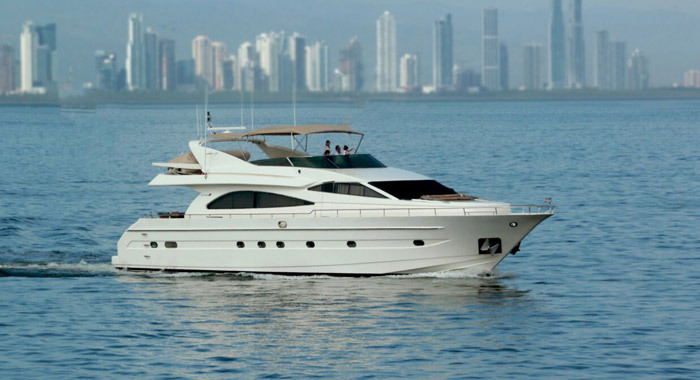 The 82’ luxury yacht is great for your own pleasure or for hosting all types of events. With the capacity to hold up to 20 passengers, this extensive boat provides plenty of space to lounge, socialize, and enjoy the beautiful views. When you reserve the Nephenta for your own personal use, the price also includes doc fees, water, ice, soft drinks, gas, and a crew to ensure that you don’t have to lift a finger as you sail. The Nephenta yacht is like your own personal luxury home. Inside, you’ll find 4 spacious rooms and 5 bathrooms to accommodate all of your guests. The yacht also has 2 terraces as well as a fully equipped kitchen where you or a hired chef can prepare meals. With all of these spaces available to you, it’s easy to manage your schedule as you see fit. Whether you’re lounging around the yacht with your significant other for a special anniversary date or inviting a dozen people for a luxurious dinner party prepared by a professional chef, you won’t be disappointed. 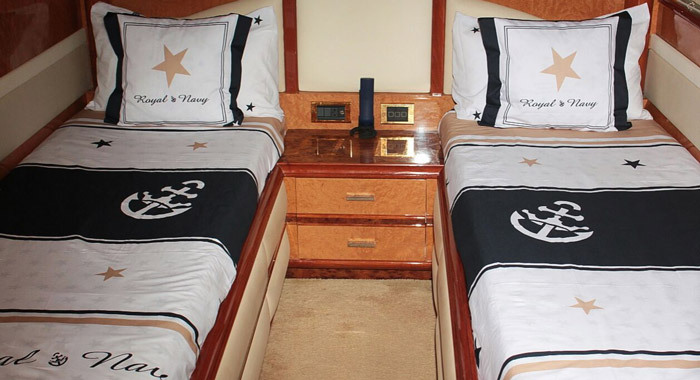 This Panama presidential yacht is available on a half day (4 hour) or full day (8 hour) basis. If you desire a half day trip to Taboga Island, the cost is approximately $4,000. For a full day trip to Taboga Island, the cost is just $5,000 which consists of 10 nautical miles. 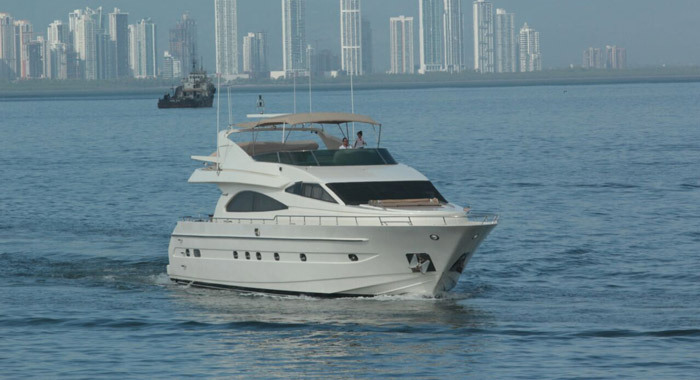 If you prefer to go to Contadora Island for a full day, the price is $8,500 which consists of 30 nautical miles. Both Taboga and Contadora Islands are beautiful places to visit and have a wide range of activities and amenities for you and your group to enjoy. If you want to save some money, ask about what discount packages are available. There is a special food package that costs $30 per person. This food package includes items such as sandwiches, ceviches, chicken fingers, chips, fruit platters, and other snacks. If you plan on drinking, consider a premium drinks package. At just $45 per person, the premium drinks package includes options like whisky, rum, vodka, beer, mixers, juices, and sodas. Both packages can help save you money on food, beverages, and alcohol and will allow you to get plenty of great snacks at one price. 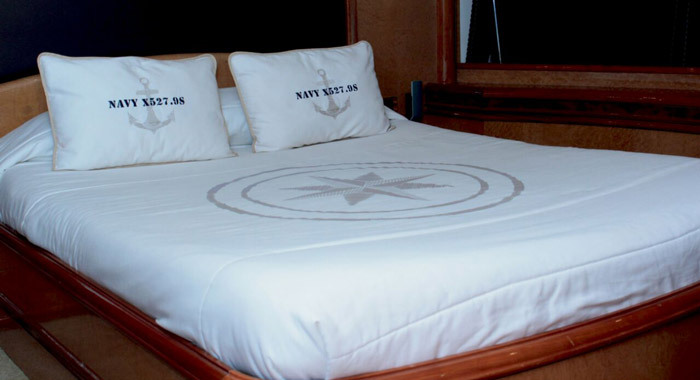 The luxury yacht has many great features to enjoy, from the plush seating to the comfy beds. 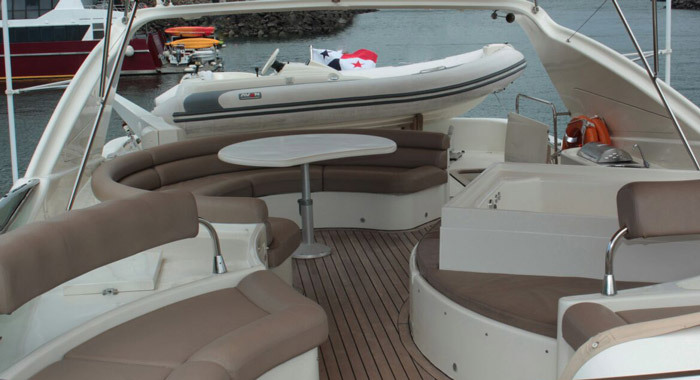 Seating can be found both inside the boat and out to ensure that every guest has a comfortable place to sit. The kitchen has everything you need to prepare a meal, including a stove, oven, dishwasher, sink, and more. 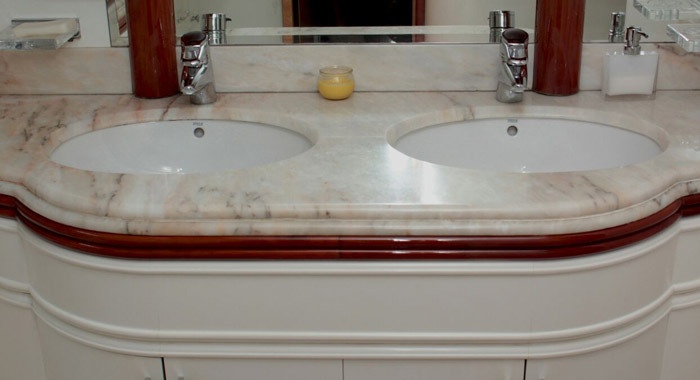 You’ll also find full bathrooms where you can freshen up, outdoor spaces where you can lounge, and enough bedrooms to accommodate many guests. 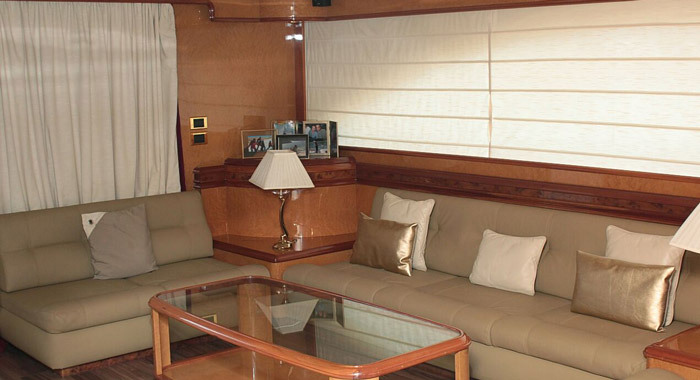 Everything you need is included in this lavish yacht rental to ensure that your time on the water is well spent. Imagine sailing on a yacht, taking in the magnificent views as you sip on your favorite cocktail. Chartering a yacht is an excellent choice for any occasion, from family vacations to romantic honeymoons. During your excursion, your professional crew will take care of all the details so that your yachting experience is a pleasurable and relaxing as possible. If you want to avoid busy venues and noisy strangers and just enjoy the peace and quiet of the ocean, a luxurious yachting trip on the open sea is the ultimate source of entertainment and restfulness for adults of all ages.